As a woman of a certain age I remember being very active, no I didn’t say athletic. I was never very good at sports, but again I was active. In fact all the children of my generation were. As the first lady of the United States of America has noticed, our children are over weight. The one thing that she misses is that if we look at the parents of the children we will probably see they are over weight also. Back in the day children played outside with the kids in the neighborhood. They walked to the neighbor’s house, played pickup softball, stickball and such. There was no cell phone to call their friend, no Skype. You walked to the corner store and to school. Our eating habits have changed because of convenience. My mother always cooked breakfast, and very seldom if ever did she ask my siblings and I what we wanted. My mother was a consumer science major so she was into nutrition, but all of the other mother’s on my street cooked breakfast also. There were no snack bars, very little sugary cereals, no sugary drink for breakfast, oatmeal was cooked on the stove not in the microwave. Now today our breakfast is eaten in the car on the go. It can be held in one hand and is never made fresh. 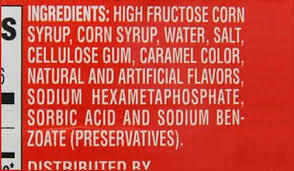 Sugar is added to almost every product including the bottle water that most children drink. So when our children and/or grandchildren want breakfast we give them what they are familiar with—we ask them what they would like to eat. We watch as they eat bowl after bowl of sugary cereal often adding more sugar to the mixture. 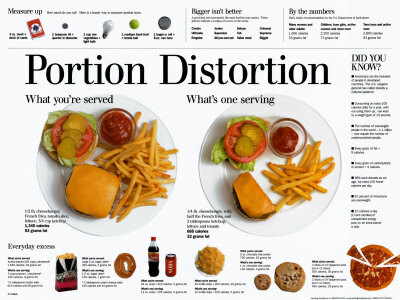 In fact most of them are eating on the average of 2 to 3 servings at one sitting. 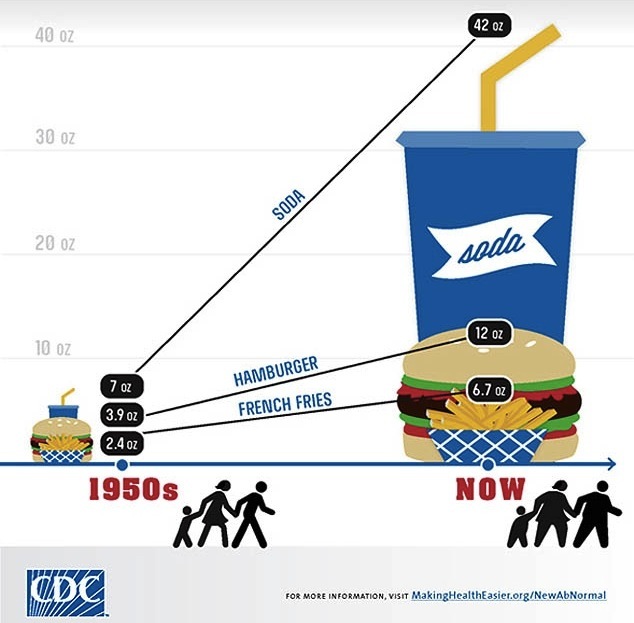 The media tells us we as a nation are drinking less soda than in the past, BUT it fails to tell us that we are drinking more energy drinks, coffee beverages and other concoctions that are full of sugar or high fructose syrup. We all say that we microwave and/or buy fash food because we don’t have the time to cook, but is that the reason or are we just dare I say “lazy”. Remember when you learned to read, you practiced while your mother cooked dinner. There was no such thing as a “snack”, candy was a treat, and soda was never with a meal. There was basically no such thing as a personal trainer to get you in shape. There was no need. You walked to your friends home, you walked to school—even if you rode the bus, you still had a distance to walk, and if it were raining, you ran. As a child you walked to the corner store or rode your bike. Sometimes you even put your younger sibling on the back and rode with them. You ran up and down hills. But playing has changed, we’ve gone from pickup games, to play dates to Skyping your play date. We’ve gone from never going in the house, to never leaving the house. Remember when a can of soda was considered two servings, and now it’s one serving. 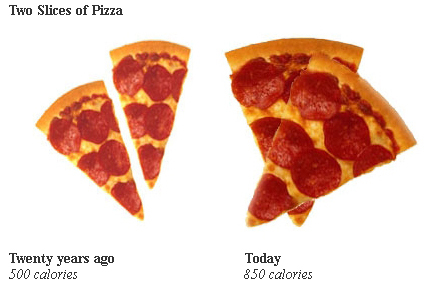 Things have changed, but we as parents and grandparents can assist in eliminating this problem of obesity. There can be wholesome meals prepared in less than 30 minutes, and you can purchase wholesome meals for the price of 5 hamburgers, fries and soft drinks. There can be after dinner family walks, Saturday morning walks around the track at the local school. There are free workout videos on cable television. As the adult in the house we can monitor what foods come into the house. The are consequences of childhood obesity are many. 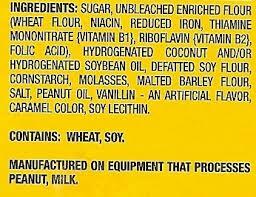 There is heart disease, diabetes, high blood pressure and much more. The emotional toll is sometimes harder for children than the health issues. To find out more about how to fight childhood obesity talk with your family physician or your local branch of the American Heart Association. Remember “thisisyourbestyear”. Make it as healthy as possible. It’s said that we do everything bigger (and better) in Texas. 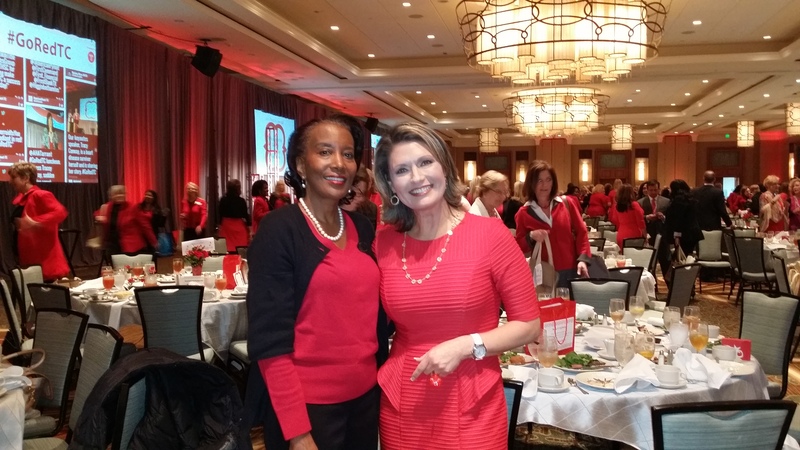 Well the American Heart Association of Tarrant County did their Go Red Luncheon bigger and better than most. It was a virtual sea of every bright shade of red that one could imagine. Even the men wore something red. The beautiful Omni Hotel had the fireplace going, and the smiles of the valet’s and others were as big and bright as anything that Texas has seen. 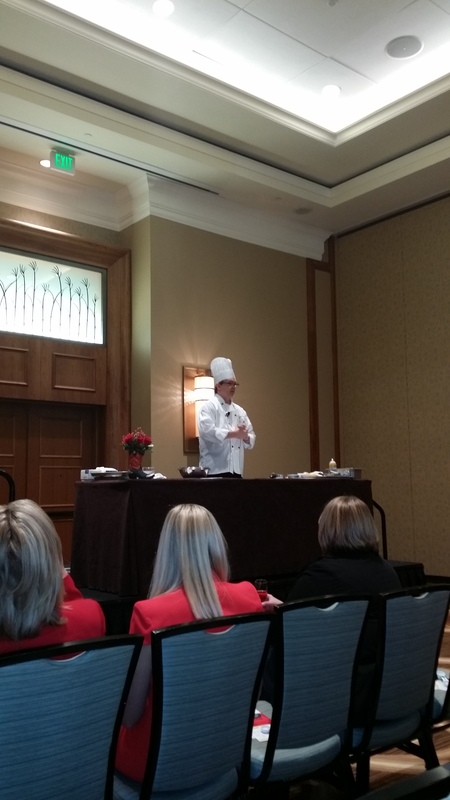 After stopping at the registration desk and receiving instructions on bidding on the wonderful items at the silent auction, I decided to attend the healthy cooking demonstration presented by the head chef at Texas Health Harris Hospital Southwest Fort Worth. He was entertaining and informative. While he talked about his dishes some attendees sipped on their mimosa’s from the reception. He had a question and answer session, and then a delicious tasting of “heart healthy” food. The silent auction had everything (no I did not get anything) from jewelry to suites at the Ballpark and more. There was no need to keep running back and forth to see if you were ahead on the bidding, all you needed was your phone. Aside from the silent auction, there was information about heart disease, the dangers of smoking, CPR training and many other informational stations. The professionals at the stations were eager to answer any and all questions. Karen Borta of CBS 11 served as the Mistress of Ceremony at the Heart Healthy Luncheon. The luncheon featured laughter, information and a powerful testimony given by Tabitha Millsop. The keynote address was given by actress and comedienne Tracey Conway who is also a sudden cardiac arrest survivor. She led all of us in a pledge to take care of our hearts. 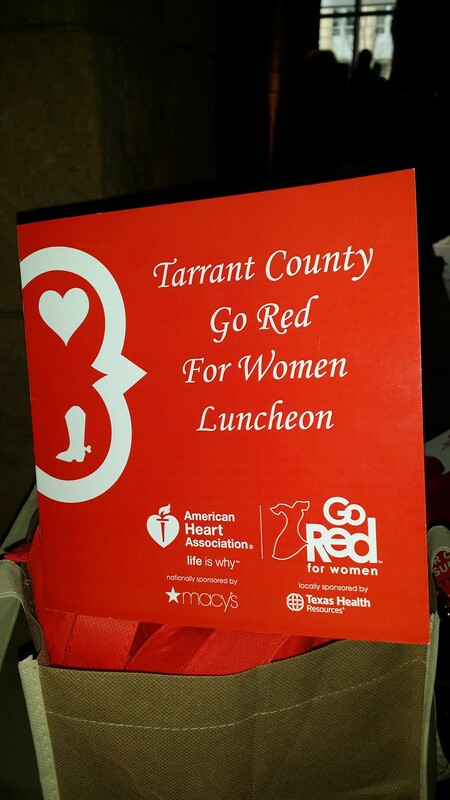 As the attendees waited patiently for their cars, it was quite evident that the Go Red Luncheon had given everyone something to think about which is what the staff of the American Heart Association of Tarrant County wanted. You could overhear talks of loved ones with heart disease. There was talk of exercise and watching one’s diet. 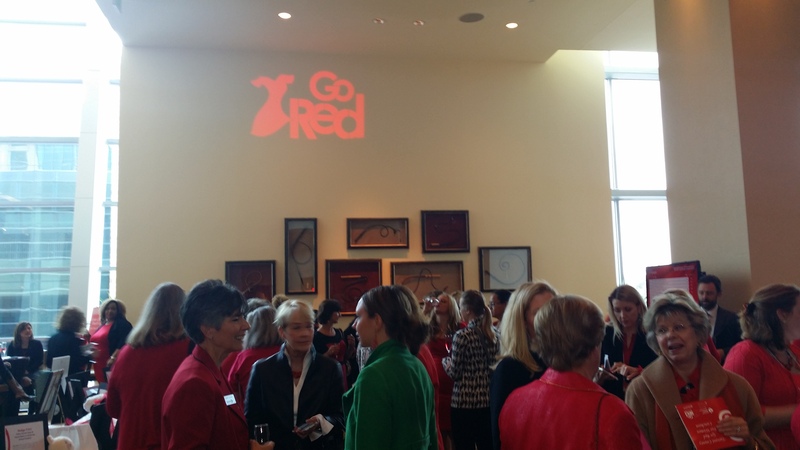 The American Heart Association of Tarrant County was blushing red. They had Tarrant County talking. For more information about the number one killer of women (heart disease) go to www.heart.org to find your local chapter of the American Heart Association. They have information, plus opportunities to volunteer to assist the cause. Remember “thisisyourbestyear”. Pledge to keep it “heart healthy”. Why Be Heart Healthy? (Because) Life Is Why! Men and women are alike in so many ways, but one way they are different is the symptoms they have when having a heart attack. Take a few minutes to see some of the typical symptoms women have when having a heart attack. Just before I turned 50, I experienced a few of these symptoms, plus a few others. I can remember my heart racing like something had just jumped out and scared me–it would not slow down. The sense of doom would come over me, and it seemed like the world was just closing in on me–I was going through this tunnel that seemed to get narrower as I kept going. There was no pain at all. At the hospital I was informed by one doctor that I was paranoid, but the final doctor sat down and talked family history with me. My father and his brothers had all died from heart disease at about the age of 50–so there was family history which could have been in the back of my mind. He did assure me though that I was not paranoid. There were tests run, monitors worn and even tests that I paid out-of-pocket for done. In the end I was given a heart healthy thumbs up. By the same token, my best friend for life said that she felt like she was nauseated, and would go and throw up, and feel better for a few minutes, and it would start again. This routine went on for some time. Then she felt like she was having a horrendous tooth ache. At the emergency room she was told she was having a heart attack. In fact she has survived two. We are exactly the same age give or take a few days, but each of us has a story to tell about our hearts. We both listened to our bodies and took action which is one of the things women typically don’t do. As women we must first take care of ourselves before we can take care of others. 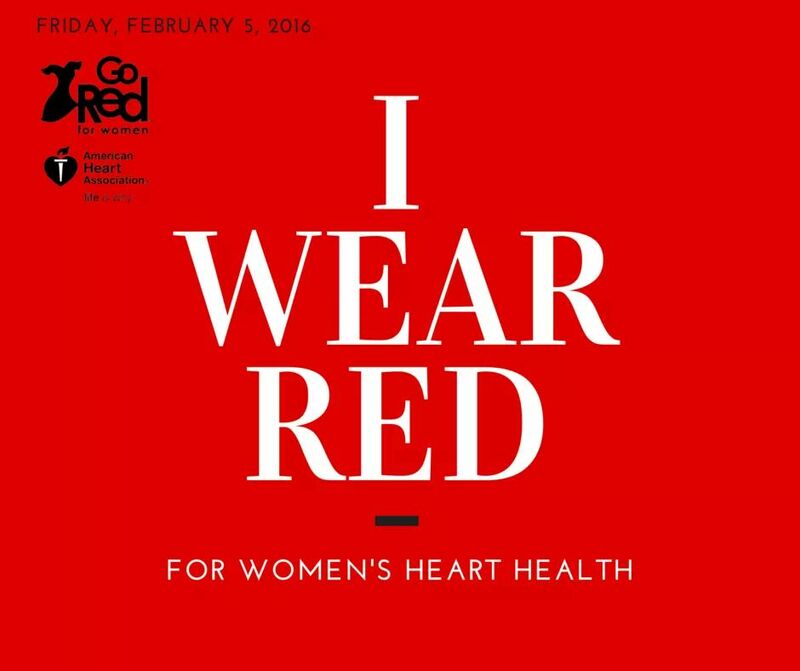 The American Heart Association of Tarrant County is sponsoring it’s annual “Go Red” event on Friday, February 20, 2015 at 10 AM at the Omni Hotel in downtown Fort Worth. 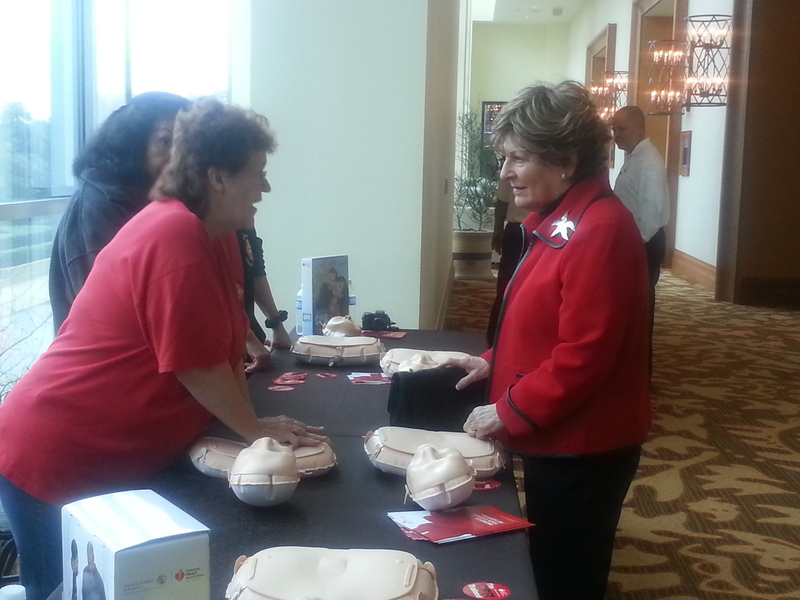 This event helps the organization inform everyone about the number 1 killer of women–heart disease. Heart disease kills more women than all of the cancers combined. It is a fact that 1 in 3 women will die of heart disease. Take a look at the video below to understand that “life is why” you should learn more about heart disease in women. Check for the nearest affiliate of the American Heart Association in your local area for information. As women we can take care of others only if we take care of ourselves first. Remember “thisisyourbestyear”. Be heart healthy (because) life is why!